Gartner predicts that by 2020, more than 75% of large and midsize global organizations will deploy advanced analytics as part of a platform or data analytics application. This increase will help improve present and future business decisions. State-of-the-art and popular analytics tools for business are being developed to provide the most powerful data analytics features to business processes. By doing so, businesses will no longer need to hire hard-to-find data scientists. The amount of data generated today with cloud-based customer relationship management (CRM), enterprise resource planning (ERP), supply chain management (SCM) and service lifecycle management (SLM) applications is accelerating. Business analytics tools are needed to find relationships in all forms of data, from unstructured to structured. The future of business analysis tools is becoming defined by new applications that support data exploration via intuitive interfaces. These apps will have support for analysis workflows using something like an NLP. Providing business analysts the ability to “upgrade” advanced analytic models without the help of a data scientist is an innovative development. It will revolutionize how Big Data is handled as well as the progression of BA tools for years to come. These tools are enabling efficient collection, correlation and presentation of semi-structured data. In doing so, it makes it possible to find new patterns in real-time data sets to build new models. What Defines Cutting Edge Business Analytics Tools? With hundreds of new BA tools introduced every year, defining which are the most cutting edge can be tricky. But it’s possible if you follow a few steps. First, identify the most important needs and requirements of your users with a defined series of criteria. Keep in mind that business analysts, managers and line-of-business staff members are the most frequent users of these tools. They are typically the decision-makers who purchase software tools used for business analytics for the company. Business analysts and other power users value certain features, like flexibility, in their software. For example, defining workflows, model creation and user interfaces are some of the features they value above others. The most cutting-edge new analytics tools are capable of guiding even non-technical users through the creation and analysis process. They provide a rich contextual experience regarding data analysis options. IBM’s Watson natural language interface is the most well-known among the crowd and one people often choose. However, there are many smaller, faster-moving companies than IBM that are breaking new ground today by using NLP. 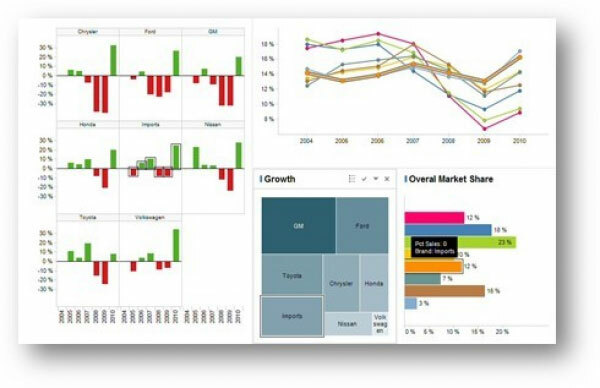 Amazon QuickSight, Attivio, Endor and Microsoft Power BI are examples of business analytic tools that are actively developing applications. They use NLP and Natural Language Generation (NLG) responses for queries. These advanced business analytics applications don’t require a data scientist to get them running either. Gartner predicts that by 2020, NLP and NLG will be a standard feature in 90% of modern BI platforms. The most cutting-edge tools build advanced analytics algorithms. They prompt users to see how they want data represented. Data analytics tools capable of generating contextualized insights are in high demand. They save time and generate knowledge which was previously unknown. Big data can scale from the transactional to the unstructured. During a recent conversation, one CIO remarked that over 60 percent of his company’s data is semi-structured and unstructured. He was looking for tools business analytics tools and techniques that allow flexibility to analyze structured, semi-structured and unstructured data. He needed to find tools that wouldn’t require an IT analyst or data scientist. Another criterion business analysts — and those who are a part of the decision-making process — mention is the ability to define test parameters for analytics models. They said it was crucial to have machine learning-based algorithms seek optimal outcomes.This functionality is typically found in higher-end, enterprise-wide BI software. New tools are beginning to incorporate this functionality into apps designed for mainstream business users. The depth of functionality and scope of support for advanced business analytics tool features are becoming comparable to full business intelligence software. The progression of advanced features begins with tools for business analytics, then to BI suites, then to full BI applications and platforms. Historically, data scientists have had to use a mashup of tools in order to have access to the advanced analytics, data mining, SQL editing and data exploration functionalities they need to complete analytics tasks. Traditional BI tools focus on the visualization and communication elements of the data lifecycle, without incorporating the data manipulation, storage, management or ingestion phases. Because of this, users often had to combine BI software with things like SQL workbenches to bridge that gap. This may soon be a thing of the past: modern BA solutions are incorporating these more in-depth analytics tasks to offer an all-in-one intelligence and analytics platform. Overall, the accessibility and simplicity of use of business analytics tools are the future of business intelligence. This can be seen in the increasing number of self-service BI tools and consistently improving data visualization functionality. Data scientists aren’t the only ones who will be impacted by the improvements being made to BI tools. According to Gartner, more than 40 percent of data science tasks will be automated by 2020, and civilian data scientists will be producing more advanced analytics than formal data scientists by 2019. 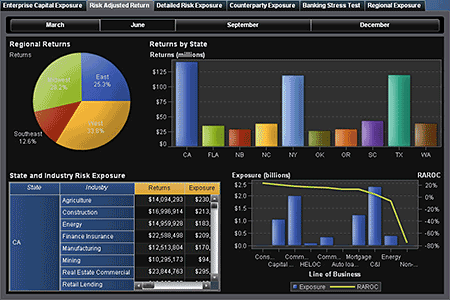 Board offers advanced analytics capabilities, enabling users to build intuitive and interactive dashboards, analysis, or reports. This BA platform includes the Board BEAM automated predictive modeling function. With Board BEAM, users can create accurate forecasting and scenarios analysis by manipulating data fed into the scenarios. Additionally, users can harness the power of Board’s statistical functions. The tool offers a set of out-of-the-box statistical features for determining traditional min/max, average and standard deviation. It also offers algorithms specifically designed for business analysis such as frequency, recency, dormancy and nascency. The seamless integration into the Board platform enables business users to instantly use these functions to build any analysis, dashboard or report they need. It enables users to undertake web and social media analytics to better understand their client base. This scalable application is also capable of handling large data volumes and a high numbers of users 24/7. Sisense provides a robust and dynamic advanced analytics tool. Users can convert unstructured text data into meaningful data for analysis through its text analytics capabilities. The solution also allows users to forecast future trends to promote data-driven decision making. This BA tools enables the use of statistical functions such as correlation, covariance and various distributions accessible directly from Sisense dashboards. It has built a distinctive integration to R by utilizing open-source language for statistical computing, which assists users in complex data analysis and visualization. The solution uses Sisense Crowd Accelerated BI technology to handle increasing volumes of data and growing numbers of users without relying on sampling or sacrificing performance. Sisense also enables users to perform web analytics through Google analytics. This BI tool helps users gather and analyze data from blogs and social media to make data-driven business decisions. Dundas BI provides a strong advanced analytics tool. Users have access to real-time visuals and analytics of user’s data, information and results. The solution uses R programming language to perform statistical analysis on data. Dundas BI’s solution is fully equipped with automated analytics and forecasting tools to predict future trends based on both historical data and present trends. The BI and dashboard reporting tool from Dundas BI gives users a simple and structured way to create complex views and reports by dragging and dropping items into the header, body and footer regions of the report. It supports both automated and ad-hoc reporting. Tableau Big Data Analytics provides dynamic and advanced capabilities to users for analyzing unstructured text. With the help of R expressions, users can easily convert large sets of data into meaningful information for analysis. 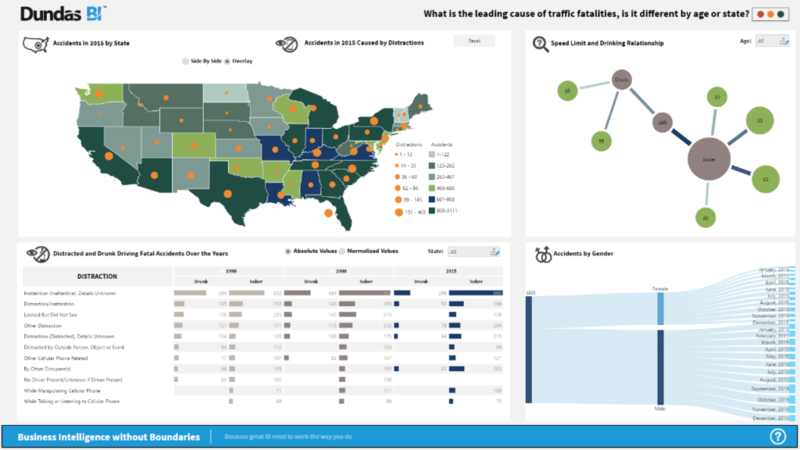 Tableau provides strong statistical tools to analyze and draw inferences from data. It enables users to forecast future trends based on a combination of historical trends and current data analysis. Tableau Big Data Analytics solution provides in-depth analysis of social media performance in order to generate business insights. The solution supports web analytics by integrating with Google Analytics, Google BigQuery and Google Adwords. 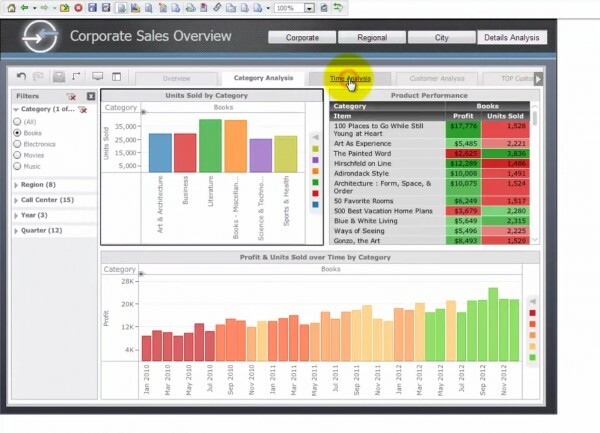 TIBCO Spotfire provides a powerful and robust advanced analytics solution. The company has recently upgraded the Spotfire platform to improve its abilities to analyze unstructured text-based data and social media content. This data analytics solution supports one-click forecasting. 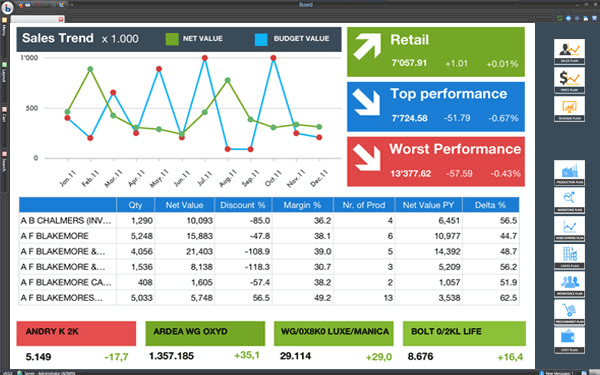 TIBCO Spotfire provides statistical analysis, a built-in feature in the new Spotfire upgrade.  The solution is very scalable as it is capable of handling increased volumes of data and a growing numbers of users without decreasing the quality of service it delivers. TIBCO Spotfire provides automation services, allowing users to run analyses and reports at fixed durations. The solution supports web analytics and allows collection, analysis and reporting of web data via Google analytics. Microstrategy Analytics offers advanced analytics capabilities enabling users to process unstructured text data into information ready for analysis through Text Analytics. The solution creates real-time forecasts by leveraging advanced and native analytical capabilities, along with the option of third-party data mining building advanced statistical analyses. The solution allows users to build and share reports which are then viewable on any device. MicroStrategy Analytics is also equipped with powerful web and social media analytics. SAS BA’s text analytics functionality enables users to analyze unstructured text data and convert it into meaningful data ready for analysis. The solution is loaded with different statistical tools enabling users to analyze and draw inferences based on collected data. SAS helps users examine large datasets in real time and forecasts future trends based on the information gleaned from these datasets. The solution is fully equipped with scale-out and scale-up functionalities. SAS Visual Analytics allows users to find topics and decipher sentiments in data extracted from various social media site and blogs such as Facebook, Twitter, Google Analytics, YouTube comments and more. The solution helps users handle a large amount of raw data from websites and integrates it with offline sources. Business analytics systems are proliferating today. So are other advanced technologies like machine learning, NLP and NLG. Every BI analytics tool provider is designing tools with greater usability and self-service analytics. They want to alleviate the need to have data scientists on staff in order to get advanced analysis and model building done. Taking steps to make these changes helps users find quick solutions and streamline decision making overall. These seven cutting-edge business analytics applications reflect how successful software providers have been in simplifying complex analytics and BI workflows to increase adoption. All of them are succeeding in making business analytics more available across a broader base of business users than ever before. What makes a business analytics tool cutting-edge to you? Do you agree with our ratings? Let us know your thoughts in the comments! These are great business intelligence tools that can help take your business to the next level. I think everyone understands that only the right Analytics can bring your methods and tests to a new level! We are a start up project based company with 120 plus employees. I want to know how this tools can be used in our company initially starting with one license. Hi there! You’ve definitely come to the right place. Our community managers can take you through how each individual product can be used and help you decide which would be the best fit for your organization. Feel free to either contact us here, or just fill out this requirements template and we’ll get in touch!